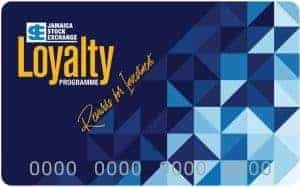 What is the JSE Loyalty Rewards Programme? The Jamaica Stock Exchange (JSE) Loyalty Rewards Programme is a point-based rewards programme for individual investors to earn rewards for purchases at the participating listed companies. How does one become a member of the programme? All individual investors in any company listed on the JSE with an active account, automatically qualifies for membership and are pre-enrolled in the programme. Your account can be activated by either using your mobile number (as stated on your profile held at the JSE) or by swiping your JSE Loyalty membership card at participating merchants. To get your membership card or update your mobile number, kindly contact the loyalty center at 1-888-429-5757 . Members can earn points from purchases/payments of $200 or more (excluding tax) at any of the participating merchants by simply having the cashier/customer service representative swipe your rewards card or enter your mobile number to have your points registered. Once you have reached the minimum of 25,000 points within the reward cycle (fixed 4 month cycles), a voucher with your dollar value to that date will be prepared and mailed to you. Reward Vouchers can be redeemed for at any of the participating merchant locations for goods/services up to the value of the voucher. To confirm your membership, update your record, or request your loyalty card, kindly contact the loyalty center at 1-888-429-5757.